Handcrafted strawberry shaped cushion, made with pink white polka dot fabric and green gauze. This beautiful baptism favor is decorated with pink striped beads, satin ribbon, wax cords and white tulles containing 5 koufeta (sugared almonds). 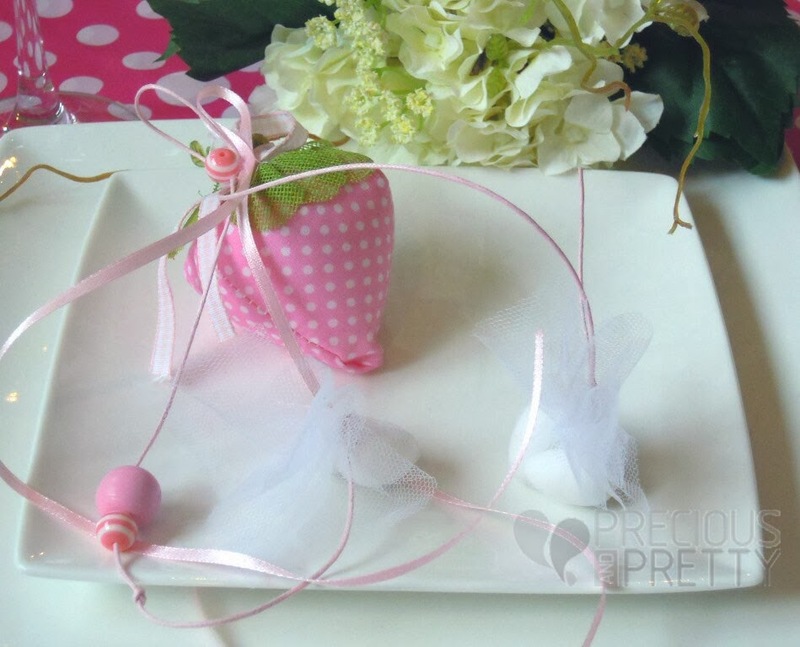 https://www.preciousandpretty.com/2014/01/christening-favors-hanging-strawberries.html Greek Wedding Favors|Orthodox Crowns|Stefana|Baptism Invitations Christening favors hanging strawberries B024 a post about handcrafted strawberry shaped cushion with hanging sugared almonds which can be used as a christening favor Product #: Greek Wedding Favors|Orthodox Crowns|Stefana|Baptism Invitations_4341383412346222670 5 stars out of 5 reviews.